The upper limb disorder during the embryonic period will result in transverse or longitudinal deformities of upper limbs. The manifestation of the transverse one is lipomeria or adactylism, and the manifestation of the longitudinal deformities is cleft limb or cleft foot. 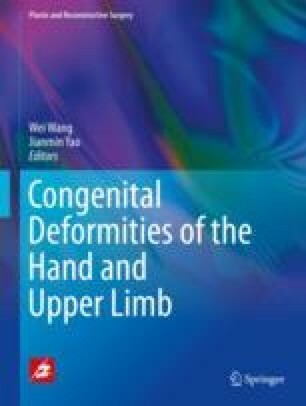 Partial segmental or longitudinal dysplasia of limbs will produce various deformities of limb (finger) shortness, and the manifestations can become various and complicated.